What does the New Year have to do with dental health? Most of us are in the habit of making resolutions, but in general they focus on big issues: losing weight, exercising more, or being a better person. But the New Year is also a time to focus on little things that can have large impacts. That’s why the New Year is an opportunity to resolve to take care of all the dental issues you may have had last year, or may have this year. It’s an opportunity to build good dental habits. Finally, it’s an opportunity to increase your general health by increasing your dental health. At United Smiles, we’ll work with you to make sure you have a great new year with a healthy mouth! Regular visits to your dentist are one of the easiest investments you can make in dental health. By visiting your United Smiles dentist every six months, you can not only make sure you have a plaque-less and attractive smile, but also avoid long term dental problems that can be easily solved, if caught early. Make those appointments now! Cut back on sugar and resolve to add more healthy foods to your diet to solidify your diet’s benefit to your teeth. Dairy products are high in calcium, so they are great for your teeth. Foods with high fibre content produce saliva and scrub away plaque and other food bits, according to Delta Dental. This is by far the simplest resolution to make, and it has some of the greatest payoff. By simply brushing your teeth twice a day, for at least two minutes each time, and flossing in the evening, you can have a dramatic effect on you dental and overall health. Make sure that your toothbrush is new, and all your dental tools are easy to find in your bathroom. Tobacco stains your teeth and harms your gums – its use can lead to cancer. Discontinue cigarette smoking and smokeless tobacco to improve overall health. Consider online programs, progress apps, and support groups to assist you with quitting tobacco. A smile is often the first thing that people notice, so it pays to have an attractive one. If your general dental health is good, consider the restorative or cosmetic procedures available at your dentist. Dental braces, crowns, and porcelain veneers can aid your ability to chew and also present a happier smile to the world. Dark or stained teeth can be whitened, resulting in improved appearance. There are a variety of dental procedures to improve your smile, and at United Smiles we would be delighted to discuss them with you. United Smiles serves patients from all Melbourne areas from our conveniently located in the heart of Mernda Village. We have ample parking at the rear of the building and provide wheelchair access at the front of the building. We are easy to find and easy to work with! 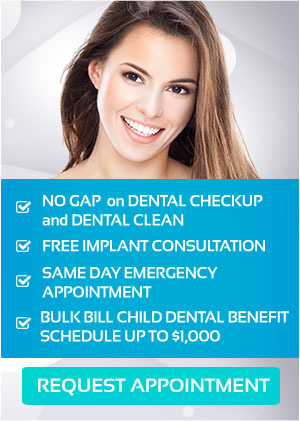 Claim your PAY NO GAP OFFER on dental check-up and clean. Book your appointment online or call us on (03) 8682 8658.